Scan Copyright © grickily (Dan Goodsell) on Flickr. All rights reserved. I live near the old location in Skyforest. It never gets any easier driving by the place and seeing it continue to deteriorate. 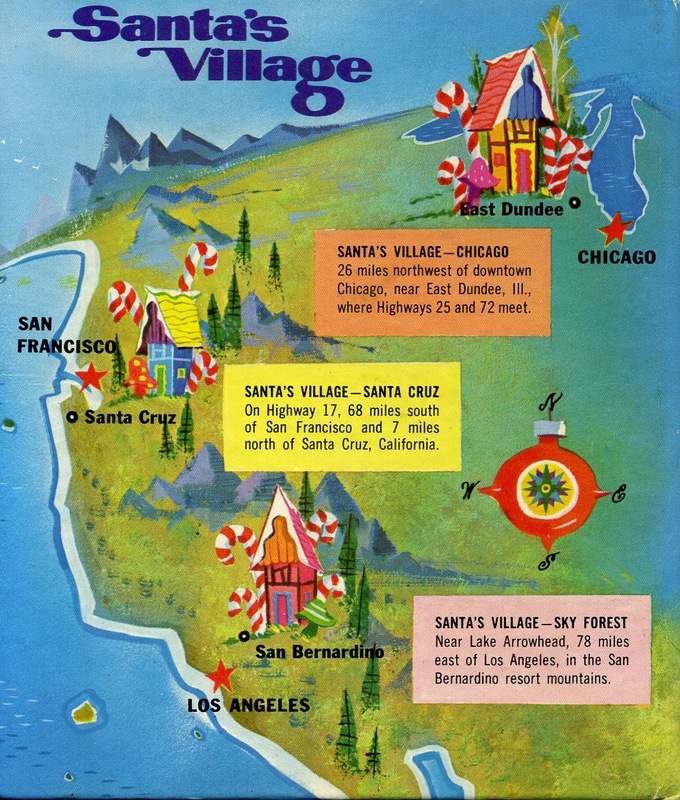 Posted in 1950s, Christmas, Retro/VintageTagged 1958, advertising, Americana, amusement park, California, closed, Illinois, illustration, map, nostalgia, Santa's VillageBookmark the permalink. The Short Drink That Goes a Long Way!